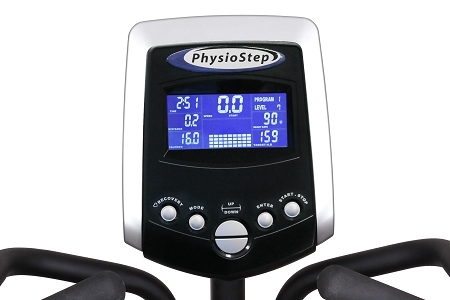 The PhysioStep LTD provides an easy & effective total body cardio workout. 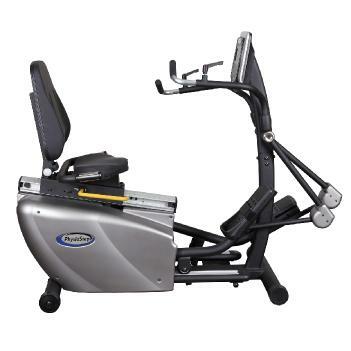 The recumbent sitting position combines stability with the smooth and natural feel of an elliptical. The unique, ascending arm motion provides bilinear resistance with ergonomic, rotating hand grips. Users will enjoy the quick release lever that allows for hand positioning at any angle. 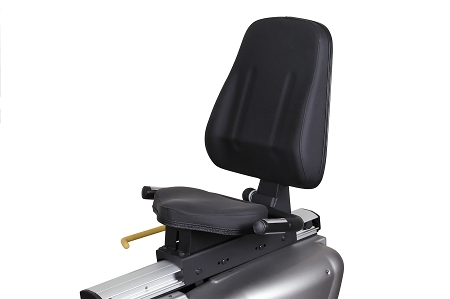 Other features include a low profile walk – through design and fully adjustable arms, seat, and seat back accommodate a wide range of users. The PhysioStep LTD is designed for light commercial or home use. It uses AC Power and will automatically shut off after 15 minutes of inactivity. 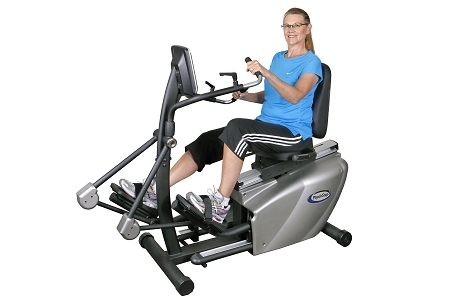 The LCD display provides all your workout information in a clear and easy to read format. 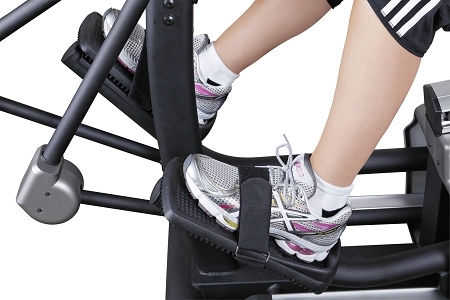 The PhysioStep LTD is designed to benefit a wide range of users from the physically fit to the physically challenged. • Power: AC Power – 110V. • Programs: 18 programs ; Programs include: Manual Program, 6 Preset Programs, Body Fat Program, Heart Rate Control Programs, User Setting Programs, WATTS Control Program, and 1Pulse Recovery Program.